Carl Williams turns 30 next month, and already his Karl Kani clothing company grosses $69 million in annual sales. Erly Industries Inc. was the second most profitable company in Los Angeles County over the past five years, but the next five years may not be quite so rewarding. Now that April 15 is past, it's a good time to look at what you can do for next tax season to reduce the stress involved in preparing taxes for your home business. There are all kinds of ways to measure financial performance, but the Business Journal based its ranking of most profitable public companies on average return on equity over a five-year period. Buoyed by two drugs in which it has a virtual monopoly, Amgen Inc. has become the world's largest biotechnology company. The Business Journal's list of the 100 most profitable public companies in Los Angeles is full of names you've probably never heard of and missing quite a few of L.A.'s more prominent businesses. Microsoft's public relations fiasco is a case study of how a powerful corporation can lose its credibility in the marketplace of public opinion because of a leaked secretive public relations campaign. Buying the stocks of L.A.'s most profitable companies has not necessarily been a wise investment. The Los Angeles business world, never really a Fortune 500 sort of scene, is less than ever dominated by giant enterprises. Indeed, the companies most likely to be hiring and growing are characterized by another phrase: middle market. Foundation Health Systems wound up high on the Business Journal list because of its phenomenal growth in the mid-1990s but 1997 was a different story. A faded neon sign with missing letters points to the entrance of a Boyle Heights hardware store on Whittier Boulevard. Down the street, the storefront of a Mexican bakery is nameless except for an envelope-sized nameplate hanging on the front door. Concerned that LAX is losing the public relations battle over its controversial expansion plans, Mayor Richard Riordan has tapped a close associate to get the project back on track. The Los Angeles Newspaper Group is gearing up for its battle against the dominant Los Angeles Times, hiring a veteran newsman to help develop shared editorial content for the five-paper chain. Superior Industries International Inc. has made profitable inroads into the aluminum truck and auto wheel market, reporting an 18 percent increase in income during 1997. Its stock, meanwhile, has risen about 20 percent during the same period. Cable company MediaOne has begun offering local telephone service in Los Angeles County, officially ending the monopoly that GTE and Pacific Bell have enjoyed for decades. For all its success over the past five years, Staar Surgical Co. could be in store for more good news. A properly managed inventory system not only reduces costs by increasing turnover and freeing up capital, it also gives you the opportunity to negotiate the best prices. The Westside is the hottest office market in terms of tenant demand and rent hikes, but it has been pretty poky so far this year when it comes to large building sales. Don't let modest sales figures fool you: Some of L.A.'s small public companies are among the area's most profitable. You might think aerospace has been grounded in Los Angeles, but then you might think wrong. Part-time workers and those who work out of their homes would be entitled to the same benefits and pay scales as their full-time counterparts under legislation backed by organized labor. Known as "the bug guy," Kutcher keeps his focus on insects in an industry in which most trainers handle somewhat larger animals, from alligators to zebras. Guess Inc. has agreed to reinstate 13 laid-off workers and to pay $113,000 in back pay to 20 other workers to settle charges that the company tried to thwart a labor-organizing campaign by illegally dismissing pro-union workers. From law firms to sign makers to advertising agencies to charities, bank mergers are having a wide-ranging impact on Los Angeles not even counting the obvious fallouts from banking job losses and branch closures. A temporary agency for lab technicians and scientists, On Assignment Inc. continues to be on a roll. The 100 most profitable public companies in Los Angeles are every bit as diverse as the region itself. The stock market has risen roughly 20 percent a year, compounded, since 1982, and 80 percent over the past two years. That's measured by Standard & Poor's index of 500 stocks, with dividends reinvested. A low-profile drink is making a splash in L.A.'s trendy circles, even though it isn't exactly a new phenomenon in fact, it's been around for centuries. Twentieth Century Industries continues to be the comeback kid of the insurance business. L.A. Mayor Richard Riordan may be taking a $1-a-year salary, but he says it's costing the city much more just to do the paperwork. If there is a lesson to be learned in the four-year tenure of David Lubars as both creative director and chief executive of L.A.-based BBDO West, it's that outstanding creative types don't always make outstanding business managers. Size matters when it comes to the recent mega-mergers in banking. So does the reaction among business customers. For the first time in more than two decades, new movie theaters are planned for Southeast L.A. County an area that has missed out on the boom in multiplex theaters. Hollywood took time out from its busy schedule to tout its economic impact last week, hoping to convince any recalcitrant government agencies out there that the entertainment industry is indeed a bulwark of the state and local economy. Ken Funsten doesn't fit the traditional profile of a money manager who specializes in high-yield bonds.
? Transpacific Development Co. is finalizing the sale of Cerritos Town Center to Spieker Properties. As other large L.A. companies have merged or moved, Atlantic Richfield Co. has remained solid as a rock one of the city's great corporate citizens, and one of the strongest supporters of downtown Los Angeles.
? Sanyo Logistics leased a new speculative 750,000-sq.-ft. building at Majestic Airport Center in Ontario and is relocating there from the City of Industry. A plan to extend the Long Beach (710) Freeway through South Pasadena and East Los Angeles was finally approved by the federal government last week, after 33 years of heated debate. The industrial real estate market remained tight in the San Gabriel Valley during the first quarter of 1998, as foul weather slowed some developers who are adding to the region's building inventory. Demand significantly outpaced supply during the first quarter in the mostly industrial Mid-Cities market. With its movies stumbling badly at the box office and its top executives being ushered out the door, Universal Studios Inc. is looking more and more like a bad investment for Seagram Co. Ltd. and its chief executive, Edgar Bronfman Jr.
Microsoft, the software giant, seems at last to have begun to understand how it came to be perhaps the most successful and powerful technology company on earth, and perhaps the most unpopular as well. Most 24-year-olds would be hard-pressed to grow much of anything beyond mildew in the shower tiles, but Charles N. Gerencser has been put in charge of growing a newspaper in one of the nation's most competitive media markets.
? Kennedy-Wilson purchased the 278,187-sq.-ft. Wilshire Bixel Building at 1055 Wilshire from American Trading for $25 million. Helisys Inc., once considered one of L.A.'s most promising high-tech firms, is in the midst of a financial meltdown. Seeking to cut costs and boost revenues, CB Commercial Real Estate Group Inc. is planning to shutter some of its 15 Southern California offices and end the traditional 50-50 commission splits with brokers. With space tight for factories and distribution centers throughout much of Los Angeles County, the Antelope and Santa Clarita valleys had a hot first quarter for industrial development. An East Coast megastore is posing a new threat to local music store giant Guitar Center, with plans to open four stores in Southern California by the middle of the year ? including one down the street from Guitar Center's Hollywood flagship.
? Ground was broken on a 1 million-sq.-ft. Rite Aid Corp. distribution center in Lancaster which will be the largest building in the Antelope Valley. The Internet already allows investors to buy financial products ranging from certificates of deposit to mutual funds with a click of a mouse button. Sometimes even an old dog learns new tricks. Take 82-year-old Richard Behr, for example, who has been introducing new technologies in the security surveillance industry for nearly 50 years. Like any of the hundreds of dry-cleaning stores in the area, Sterling Cleaners will take your dirty clothes off your hands and return them clean and pressed, ready to wear on the same day, if you need it. The first quarter kicked off in high gear in the San Fernando Valley, where the office market was very active due to limited class-A space. There is a quiet real estate recovery going on in many of L.A.'s minority communities, with both prices and sales volume on the rise. Tables based on data from April 2 - April 8. Abbreviations: (H) stock hit new 52 week high; (L) stock hit new 52 week low; (S) stock split during week. Even though much of L.A. County is developed out, leaving little room for new homes in areas like Westwood, Long Beach, Tarzana or Downey, new homes are being built in the county mostly on its edges. One of the Business Journal's pillars is its real estate coverage, and one of the highlights of that is its quarterly real estate special report. It offers by far the most comprehensive review of real estate in Los Angeles. It was a tough year for Long Beach in 1994. Walt Disney Co. decided against building a water-themed attraction in the city, and the recession and defense cutbacks were throwing thousands of local people out of work. Heading into the spring home-buying season, Los Angeles County's long-languishing residential real estate market is once again in a full-fledged upswing. Not all of Los Angeles County is enjoying the housing recovery at least not yet. Wherever investors gather, you're going to find fraud and the Internet is an especially hospitable spot. The closer to the water or the higher on a hill, the hotter the housing market in Los Angeles. Back in 1995, Crown Prince Inc. noticed that its core business canned sardines, kipper snacks, oysters and other specialty seafood was shrinking. Kim Jakwerth has been named to head Marleah Leslie & Associates' new music division. She will retain her title as vice president. The 1998 Book of Lists listed an incorrect phone number for A-Mark Precious Metals. The correct number is (310) 319-0200. The rebounding real estate market and a quirk in state tax law could bring a surprise tax jolt to thousands of L.A. County property owners who won tax reductions during the prolonged real estate slump. Don't search TV Guide for the debut episode of "Chad's World," a new dramatic series for teens. Turn on your computer. The current boom in home sales is again driving people into the business, part of a cyclical pattern that occurs when prices and with them commissions start heading up. The $12 billion-plus Los Angeles County budget that comes out this week is likely to contain a bonanza for business: tens of millions of dollars in new contracts to be awarded in the 1998-1999 fiscal year, which starts July 1. I just wanted to take a moment to say "bravo" and congratulations on your recent Banking and Finance Special Report focusing on inner-city lending (March 30). Excellent, and very well done! Seeking office space for their headquarters staffs, the campaigns of gubernatorial candidates Al Checci and Gray Davis both checked out a suite in the Museum Square building on Wilshire Boulevard's Miracle Mile last year. Ventura County office and industrial properties sustained a strong level of investment in the first quarter, prompting comparisons to the real estate sales market of the 1980s. L.A.'s economic uptick has had a beneficial effect on L.A. ad agencies, as local companies that slashed their marketing budgets during hard times are looking to promote their products once again. The strong regional economy and a robust financial services sector are helping breathe some life into the office markets of downtown Los Angeles. Sixteen months after his ignominious ouster as president of Walt Disney Co., Michael Ovitz has raised the curtain on the next act of his life and it's not in Hollywood. A visit to one of L.A.'s luxury hotels used to mean plusher rooms, finer food and more individual attention. CyberMedia Inc. is yet another high-flying tech company to come crashing down to earth, but the reasons behind its nosedive have been more complicated than those that derailed many of its peers. It was 1990, and the L.A. market was heading into a prolonged slump. But to Chase, the recession was like boot camp giving her the grit to thrive as the market rebounded. Just when you thought the Westside office market couldn't get any hotter, along came the first quarter of 1998. The big news in the Tri-Cities of Burbank, Glendale and Pasadena was not what happened, but rather what didn't happen in the first quarter. Businesses on top of the bull market in residential real estate are having a wild ride. The real estate market got off to a comparatively slow start in 1998, considering the robust pace of leasing and investment activity at the end of last year. A statewide coalition of high-tech companies, banks, credit card issuers, manufacturers and other businesses groups is pushing for legislation that would limit their liability in class-action lawsuits arising out of the "Year 2000" computer problem. The so-called "Angel of Death" has created a public relations nightmare for Glendale Adventist Medical Center, but hospital officials insist that business has not been hurt by the episode. Almost six years after Kevin Copeland founded his company, it will finally be in business next month. As an independence movement in the San Fernando Valley picks up steam, tourism officials have a new twist: a marketing campaign to promote the Valley as a tourist attraction in its own right. The two major business-related initiatives on the June 2 ballot Propositions 224 and 226 are generating millions of dollars in campaign contributions from business and labor groups. The much-anticipated film "Godzilla" may set a whole new standard not necessarily in special effects for gigantic dinosaurs, but in the terms that distributors demand from theaters. There is a shift taking place. It is a change of attitude. This shift is happening throughout our culture. It is to be found both in the individual and in the company. This shift is the focus of the future. Today's employers face a workplace in which employees change jobs more frequently than ever often to start new businesses in the same market as their former employer. SmarTalk TeleServices Inc., named by the Business Journal as L.A. County's fastest-growing public company in 1997, has hit some speed bumps. Faced with a shrinking number of tenants, California Mart, the premier downtown showroom for Southern California's apparel industry, is going after a new market. When Thomas Wafer Jr. stepped into the role of publisher for Copley Press Inc.'s L.A. papers in the midst of a severe recession in 1993, one of his first jobs was to conduct a round of voluntary layoffs to reduce the papers' expenses. You can make them baggier or tighter, darker or lighter, with pockets or with fancy stitching, but it's hard to improve on the classic American blue jean. Conspiracy theorists might want to examine the methods and motivations of Sanford Weill, the chief executive of Travelers Group Inc. and mastermind behind the nation's largest, most audacious merger. The Los Angeles Airport Commission last week postponed voting on a controversial plan to award exclusive shuttle concessions to LAX's two largest operators Prime Time Shuttle and SuperShuttle Inc.
What's the hottest rental at Budget Rent A Car of Beverly Hills? The Corvette convertible? A Porsche Boxster? A Jaguar? The building that garners some of downtown L.A.'s highest rents and a rare 100 percent occupancy rate isn't a gleaming trophy tower on Bunker Hill. Proxy war veteran John Kelly is a ground commander for a budding movement: institutional shareholder activism. In an effort to strengthen the region's high-tech sector, a pair of county-backed groups are holding workshops to help local companies find funding. We all know how exasperating personal computers can be when they don't work. But every once in a while the PC industry comes along with a new application that is so useful, so cool, that it almost makes you forget the daily frustrations. Like battle-weary soldiers, Los Angeles' small and mid-size banks are showing little fear at the bombshell news that Travelers Group and Citicorp are making plans to merge. The Pomona-based firm supplies cut-price body parts, such as bumpers, windshields and door panels, to automobile repair shops. 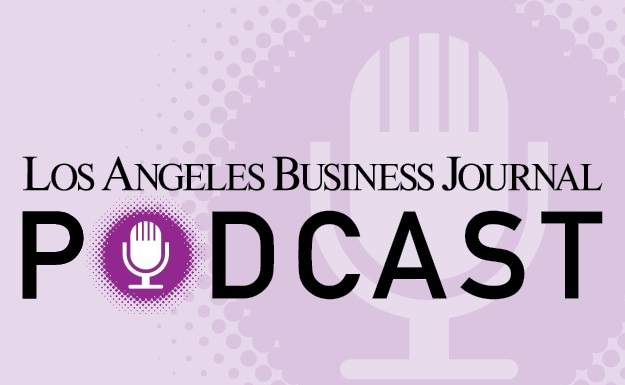 The Los Angeles Business Journal has been named one of the top five business weeklies in the nation by the Society of American Business Editors and Writers. After years of legal squabbling, officials with the $2 billion Alameda Corridor project say they expect to have agreements later this month with Compton and Lynwood, two of the six cities along the proposed 19-mile route. Small-business owners who comprise 75 percent of the employers in Los Angeles County have been granted a temporary reprieve from the state's ergonomics regulation. Since retiring from pro basketball for good in 1996, Earvin "Magic" Johnson has gained national acclaim for his successful chain of inner-city cinemas and shopping centers. The Department of Treasury and Department of Commerce recenltly released a state-by-state analysis about the importance of Asian markets to California. After an eight-year stalemate with the family owner of a Vernon factory that makes Farmer John meat products, United Food and Commercial Workers Local 770 has ended its boycott against the company and is about to enter into contract negotiations. Times Mirror Co. Chairman and Chief Executive Mark Willes received a 34 percent pay raise in 1997, according to documents filed with the Securities and Exchange Commission. "We've got a live spam here!" announced Aaron Higbee, a "network abuse administrator" at Earthlink Network Inc. in Pasadena. "This guy is sending batches of 40 messages every couple minutes. Like we wouldn't notice." Good help may be hard to find, but in L.A.'s booming new-media and information technology industries, it's practically impossible. What does President Clinton have in common with countless business owners and managers around the country? He has been grilled relentlessly and as it turns out, pointlessly on a charge of sexual harassment. Of the 50 largest law firms in Los Angeles, only six have had women managing partners. Now there's a seventh: Pamela Kohlman Webster, the new president of downtown L.A.-based Buchalter, Nemer, Fields & Younger. The North American Securities Administrators Association recently identified the top 10 frauds to which investors easily fall prey. The computer crash that many are anticipating for the year 2000 is making Phyliss Murphy very happy. Century City-based Houlihan, Lokey, Howard & Zukin was the nation's second-busiest investment banker in 1997, in terms of middle-market mergers and acquisitions deals, according to Securities Data Corp.
One of the nice things about covering business in Los Angeles as opposed to St. Louis, Pittsburgh or Detroit is that there are so many larger-than-life people based in L.A. And they all seem to be cutting deals. El Ni & #324;o storms have been hammering golf courses, outdoor caf & #233;s and assorted other small businesses across Los Angeles for months. Now the storms' effects are hitting the bottom lines of some of L.A.'s bigger companies. You know or should know that your phone number also is your account number at most telephone companies. But have you ever considered the risks? Foreign automakers like Honda Motor Co. Ltd., Nissan Motor Co. Ltd. and Toyota Motor Corp. generate almost 1.3 million jobs nationwide and contribute more than $43 billion annually to the U.S. economy, according to a new study. Tables based on data from March 26 - April 1. Abbreviations: (H) stock hit new 52 week high; (L) stock hit new 52 week low; (S) stock split during week. Regardless of how you try to develop customer loyalty or retention, the key word to remember is "communication." The stories are strikingly similar. Rising labor costs and strict air quality regulations prompt a Buena Park furniture maker to consider moving his company and its 400 jobs out of California. The rock-bottom crude oil prices of the last several months are expected to hit Los Angeles-based Atlantic Richfield Co. harder than other big oil companies. Everybody professes to admire it. Most want to acquire it. Some even know it when they see it. In the marketing world, it's normally a subject of interest to everyone. As the new president of CB Commercial Real Estate Group's institutional management services division, Jana Turner is responsible for the property-management portfolio of the nation's largest real estate company. Recent moves by Rupert Murdoch's Fox Group to purchase a stake in the new Staples Center arena, as well as a portion of the Los Angeles Lakers, demonstrate that professional sports has become just another facet of show business. OK, OK you've been hearing about downtown's promised rebound since it started its slide into the real estate abyss years ago. The city of Burbank is seeking to develop a new retail and entertainment district in an eight-block area to the southeast of its Media City Center. The impact of Asia's financial crisis may have been overblown, according to UCLA Anderson's quarterly economic forecast. Julia Gouw has been appointed executive vice president of East West Bank at the company's San Marino headquarters. She previously was senior vice president and chief financial officer. Gouw will continue to serve as CFO and as a board member.